For the first time, treatment of patients with acute ischemic stroke on a mobile stroke treatment unit has been shown to result in improved functional outcomes relative to treatment with traditional ambulance transport to an emergency department (ED). 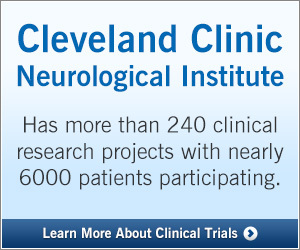 That’s the finding of a prospective nonrandomized study by Cleveland Clinic Cerebrovascular Center researchers being presented this week at the 2019 International Stroke Conference in Honolulu. The study focused on Cleveland Clinic’s mobile stroke treatment unit (MSTU), a telemedicine-enabled ambulance specially equipped with emergency personnel, a CT scanner and point-of-care lab equipment. As detailed previously on Consult QD, the MSTU’s onboard medical team works to enable patients with suspected stroke to be remotely assessed by Cleveland Clinic vascular neurologists and neuroradiologists via two-way video. Based on the evaluation, the vascular neurologist can order initiation of thrombolysis with IV tissue plasminogen activator (tPA) on the MSTU for appropriate patients, while they are en route to a hospital ED. Patients had to receive tPA for inclusion in the analysis. The MSTU group was drawn from 143 consecutive patients transported by the MSTU from July 2014 (when the MSTU was first deployed) through December 2017. After exclusion of patients who were transported to non-Cleveland Clinic hospitals (n = 40), who had stroke mimics (n = 9) or who had incomplete assessment (n = 1), 93 patients were included in the analysis. The control (EMS) group was drawn from 196 consecutive patients transported by EMS for stroke care at a Cleveland Clinic hospital from January 2015 through December 2017. After exclusion of those with stroke mimics (n = 19) or incomplete assessment (n = 8), 169 were included in the analysis. Patients in the EMS group were treated almost exclusively at Cleveland Clinic’s main campus, which is a Joint Commission-certified Comprehensive Stroke Center. The primary outcome measure was a modified Rankin Scale (mRS) score of 0 or 1 at 90 days, indicating excellent or good physical function. The mRS score was assessed by standardized telephone interview and review of medical records approximately 90 days after stroke. If a phone interview at 90 days could not be obtained, 90-day mRS score was estimated based on medical records since the time of stroke. The MSTU and EMS groups were statistically comparable on demographic variables, with three exceptions: Patients in the MSTU group were significantly more likely to be female, to have atrial fibrillation and to undergo endovascular treatment for their stroke. “The latter difference suggests that mobile stroke treatment may allow us to identify the need for endovascular therapy earlier,” Dr. Russman observes. Mean time from symptom onset to tPA administration was shorter in the MSTU group (83 minutes) than in the EMS group (117 minutes) (P < .001). More patients received tPA within 90 minutes from symptom onset in the MSTU group (53.8 percent) than in the EMS group (29.0 percent) (P < .001). On the primary outcome measure, a 90-day mRS score of 0 or 1 was achieved by 42 percent of patients in the MSTU group versus 33 percent of those in the EMS group. While this difference was not statistically significant on unadjusted analysis, it became significant after binary logistic regression analysis to adjust for confounding variables, with MSTU transport having an odds ratio of 2.06 (95% CI, 1.01-1.49; P = 0.046) for an mRS score of 0 or 1 relative to EMS transport. “These findings further confirm the value of mobile stroke treatment by showing for the first time that benefit extends beyond faster evaluation and treatment to include superior functional outcomes,” Dr. Russman continues. He notes that an earlier assessment of patients’ functional outcomes in a German group’s study of their mobile stroke unit failed to show a significant treatment effect. He adds, however, that definitive confirmation of an outcomes benefit from mobile stroke treatment awaits results of a randomized controlled trial. Such a study, known as BEST-MSU, is now underway. In addition to its nonrandomized nature, Dr. Russman says his group’s study was also limited by the fact that it excluded MSTU patients who were transferred to non-Cleveland Clinic hospitals. An additional caveat comes from a subanalysis that found the MSTU treatment effect was no longer significant after exclusion of patients who no longer had imaging evidence of a stroke after treatment with tPA. “These cases theoretically could represent stroke mimics,” he says, “although we believe the tPA aborted the stroke in these cases.” He notes that the odds ratio for a mRS of 0 or 1 was still 2.06 in the MSTU group with these cases excluded but it was no longer quite statistically significant. The study results will be submitted for journal publication shortly.